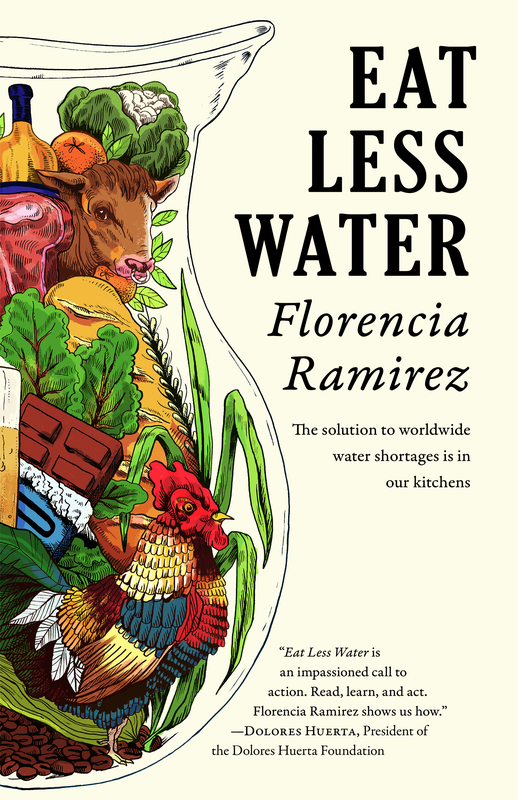 Five years ago I had an idea to write the book Eat Less Water. The idea arrived while I was reading another book, “When The Rivers Run Dry.” The book written by Fred Pearce, introduced me to the concept of water footprint and virtual water and educated me to the fact that globally 7 out of every 10 gallons of fresh water flows to food production. It was at that moment I recognized I was saving water in the wrong room of the house. Up until that time I had focused my attention on indoor water conservation with the start of a small water conservation business. The inspiration for this venture came during the drought of 2007. I attended trade shows, met with retail buyers and water agencies. Earth Day festivals became our new family vacation. Michael, my husband, pitched the white canopy tent, Isabella covered portable tables with billowing blue cloth and stacked star and duck shaped shower timers in neat displays. Our two youngest children, Joaquin and Estrella, helped by napping in the double-stroller. Isabella soon became a sales associate. She rattled off statistics of gallons saved if you shaved four minutes off your shower time, “You can save 2,500 gallons of water in one year,” she’d tell anyone who slowed down. Ultimately, I sold 80,000 shower timers. For the past five years, I’ve dedicated myself to understanding how to save water with my food choices, by supporting farming methods that conserve fresh water resources. I’ve met with farmers and food producers around the country. I’ve interviewed farmers around the nation to understand how our food choices save water. My bags are packed to leave for one of three final research trips for the book. Tomorrow, I fly to Hawaii to meet with Erik Gunther owner of Cloud Forest Coffee on the Big Island. In the Spring I travel to Illinois to visit an organic pig farm. In May, I travel to Portland, Maine to visit the only fair trade, organic beer company in the U.S., my final trip. Exciting things are in the pipeline in 2016, including an article published in The Atlantic and a meeting with a publisher. I will find a publisher for this book in 2016. Cross your fingers for me. Stay connected with me. 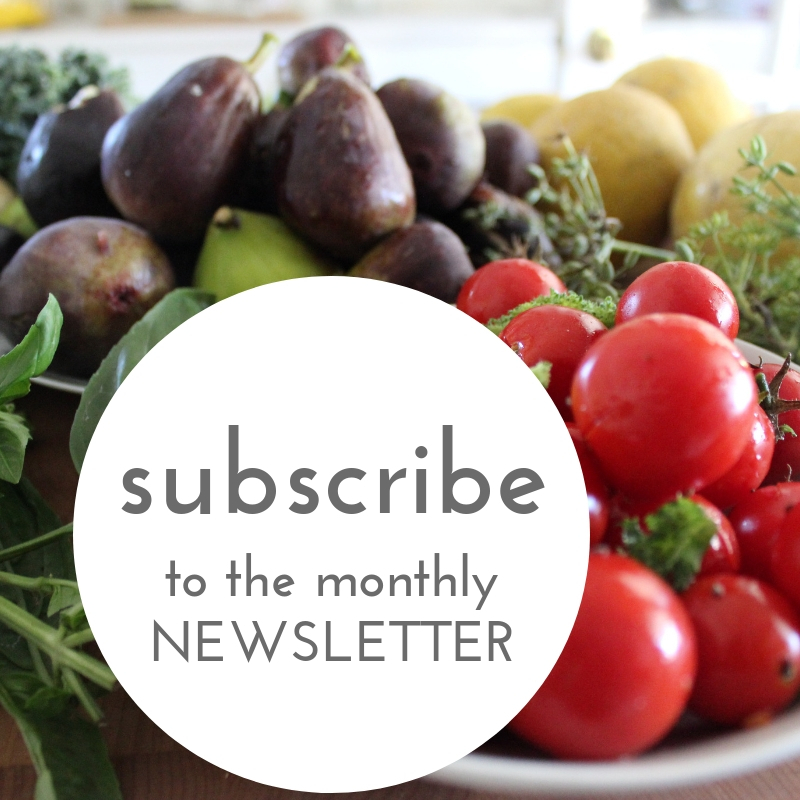 Subscribe to a newsletter (NEW). Find me on Facebook, twitter, and on YouTube with a Drought-Friendly Cooking Channel. Happy New Year to you. May this be the year we all reap what we’ve sown. How exciting Florencia – good luck as you travel to the final destinations toward completion! And, Happy New Year!